*********OPEN HOUSE SUNDAY Oct. 28, 2018, From 2-4 pm*********** Desirable Wellington Park villa situated on a cul-de-sac lot. Open Floor Plan with Main floor master. Open oak wood foyer leads to the vaulted great room with fireplace and opens to the eat-in kitchen and vaulted dining area offering plenty of natural light. Spacious master with fireplace, walk-in closet, separate shower and a jacuzzi tub. 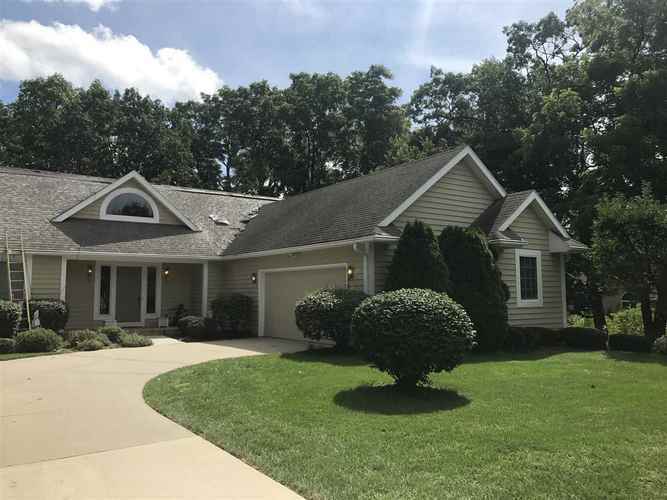 Spectacular finished lower level walk-out offers privacy, family room with fireplace and two additional bedrooms and full bath, perfect for family and friends. Relax on the large deck overlooking the private backyard. Additional features include main level laundry and new roof in Sept 2018. Just minutes to Knollwood Country Club, Notre Dame University, restaurants, shopping & hospitals. Call for your private showing today! Directions:Grape Rd. to Wellington Parkway to Windsor Manor Ct.